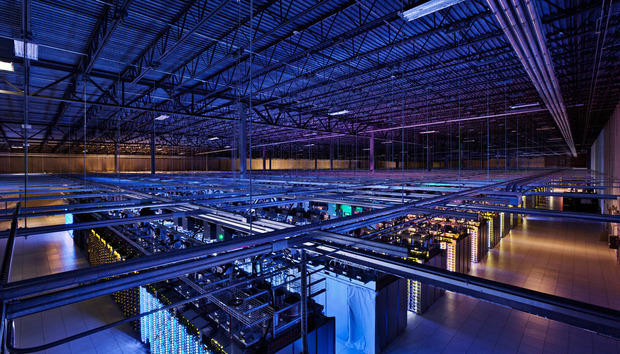 Google built a data center in an Oregon town with a population of about 15,000. Yahoo established chicken-coop style data center in New York state farm country. And Apple runs an iCloud data center in rural North Carolina. But building big data centers in rural areas may be more the exception than the rule. Most data centers are located in, or at least close to, major Metro areas, acording to a new study. This study looked at the amount of megawatts multi-tenant data centers used just last year. Northern Virginia was the leader with 63MW, followed by Dallas with 42MW; Seattle/Portland, 39 MW; San Francisco/Silicon Valley, 38 MW; and Chicago, with 38MW. "Data centers reside where people are," said Bo Bond, managing director and central region lead for JLL, the firm that did the study. It is a professional services and investment management firm specializing in real estate. JLL only looks at multi-tenant data centers. This segment of the data center industry grew by just over 6% last year, earning revenues of $115 billion, according to the firm. Although real estate growth is often measured in square feet, JLL believes megawatt usage is a better indicator of how data center space is being utilized, and electric use is a clear indication of demand. Data centers by the big cloud providers -- Microsoft, Google, Facebook and others -- aren't counted in this estimate, which focused on multi-tenant facilities. Rural areas are attractive because of the cost and availability of land for sprawling complexes. But higher land costs in a metro area, relative to the cost of the data center itself, are a negligible expense, Bond said. And more urban areas generally have better telecommunications and power infrastructure in place..
A good example may be Facebook, which is building a $500 million data center in Fort Worth, Texas, with an address of 4500 Like Way. An analysis of building permits by BuildZoom shows that Facebook's project has cost about $230 million so far. BuildZoom is creating a database of every building permit filed in the U.S. A contractor can drum up good reviews on Yelp, "but they can't fake a long history of building permits," said Issi Romem, BuildZoom's chief economist. BuildZoom works with both contractors and buyers of services and collects commissions from contracting jobs. "So we have exactly the same interest as the consumer in seeing a project well done right to the end; we're not just selling leads," Romem said. Facebook's planned data center in Fort Worth, Texas.